How to Find Pure Breed Rescue Profiles? This Save A Rescue website and our APP “SaveARescue” lists more than 8,000+ Pure Breed Rescues, representing more than 210 Pure Breeds, so no matter your preference we likely have seasoned experts of your favorite Breed that now help rescue, save and re-home their favorite breed, which may be a preference for you as well. So be sure to go to our “Breeds A-Z”, locate your preferred Breed and discover not only their History, Pro’s & Cons of owning the breed, but all the Rescues that focus on saving and re-homing the breed in questions. SaveARescue.org website has the most up-to-date, comprehensive and informative information on every breed, rescue & shelter, animal control centers and pet services representing 18 categories, all for you to discover and connect with experts and likeminded dog and cat lovers. We offer you the largest, best and most informative platform where you can look for pure breed rescue profiles of adoptable pets. 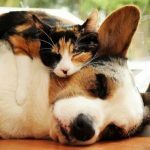 It is one of the largest cat/dog rescue resource on the internet today. 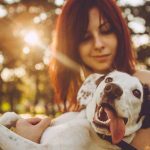 We help make the adoption of your pet easier by helping you directly contact animal shelters and animal rescue with ease. However, if you are thinking on how to find pure breed rescue profiles, an animal rescue is the right place to look for. So what basically is an animal rescue? An animal rescue is usually a private organization that takes in pet animals or companion animals from abusive homes or homeless situations. An animal rescue service aims at providing temporary home for the rescued animal through foster parents, who agree to take care of the animal until it has been adopted by new owners. This rescue service is aimed at helping the abused animal to recover through rehabilitation. An animal rescue can also be focused on a single type of animal or animals of same group. This is a good thing for people who are looking for animals of specific breed or age. Animal shelters usually run on donations and goodwill of animal lovers. Animal rescue services rarely receive any help or funding from the government. If you are looking for an animal rescue services or animal shelters to adopt a pet, visit our website at savearescue.org. You can also call us up at (888) 440-6467. We will be more than happy to invite you and let you adopt a dog. Feral Cats: Myths & Facts!